School Boards are a group of volunteers who are a support system for programs. They are governing boards for non-profit preschool program and are an integral part of setting policies for your program. This group is made up of volunteers from the organization and from the community. The board is responsible for setting program bylaws, policies and overseeing the budget, personnel, space and program regulations (specifically goals and mission of the program). Let's look more closely at the make-up of Boards. This phrase refers to Boards of Directors. If you are a non-profit organization, it is most likely a state requirement that you have a board of directors. There are typically two types of boards. One is for a program that is a non-profit parent cooperative program. The other is for a program that is a ministry of a non-profit religious organization, such as a church weekday preschool program. Let's take a look at both types of boards. A Parent Board of Directors is usually set up for a child care program that is referred to as a Parent Cooperative School and is a non-profit. The program by-laws (see below) will state how members are chosen. In this type of program, the board consists of parents who have children currently in your program as well as either organizational board members (if church related) or community board members (to help with legal advice, marketing, etc.). An organization should be very specific when choosing board members for a parent board. It is wonderful to have current parents on this board as they have a vested interest in the quality and health of the program. It is equally important to have community members as volunteers for this board who have the expertise that will help support your program such as a lawyer, someone who has experience in grant writing, someone with experience in fundraising, etc. 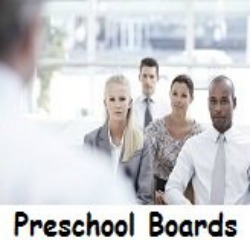 Members for a Board of Directors (or Preschool Board) for a religious organization are usually chosen from the active membership of the church. The Board will report to the church's governing body (such as the Church Council or Executive Committee). As with a Parent Board (see above), it is equally important for the church to choose members who have experience in areas that will be helpful to the program. Many times with church boards, the nominating committee of the church seeks to fill open positions each year for the Board. Some churches are intentional about whom they nominate to your board, others are not. They are looking to fill spaces with people willing to be on the board rather than people who want to be an active part of the board. This is, in my opinion, a mistake. We do not simply want warm bodies on any board, but volunteers willing to be part of the ongoing growth and development of the program. Board member requirements including how many and how they are to be recruited. Responsibilities of board members. Specific roles such as chairperson, vice-chair, treasurer and secretary will be listed. Some policies will be even more specific as to marketing, program staff oversight and program policy setting. 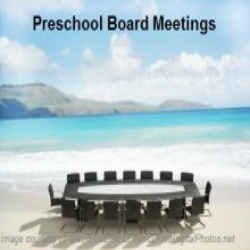 Although the members of school boards are determined by the parent company or church you, as the Preschool Director, will most likely be required to be on this board, though you might not have voting rights. 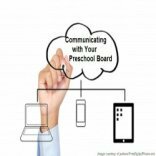 As the Preschool Program Director, you should be in touch with (and meeting with) the board regularly. A preschool board should be part of your support team so that you are not "on your own" with policy making and carrying out policy. 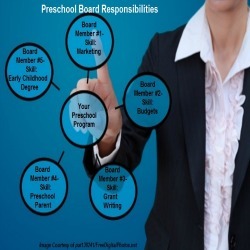 What IS your role, as the Preschool Director, within a board? Again, this will depend upon the type of organization you are part of. However, as the director, I believe you should be in regular contact with the board (monthly), even if it is only with the chairperson of that board. In October to set the following year's budget. When there is a problem or complaint. I believe your involvement needs to include helping the board to consider who should fill open positions on the Board and being intentional about meeting with the board. This keeps your program in the minds of the organization or church on a regular basis, not soley when there is a problem or at budget time. This lack of meeting or being involved with the preschool program is, most times, not due to lack of want, but lack of board members. Francie Ostrower is the senior research associate in the Urban Institute's Center on Nonprofits and Philanthropy. She published the results of their national survey of nonprofit boards from the First National Representative Study called Nonprofit Governance in the United States: Findings on Performance and Accountability. In a question and answer interview, she outlined a couple of the challenges of nonprofits and the implications on programs of these challenges. Two of them are worth noting for ALL nonprofit boards, not just urban organizations. She sites that a large percentage of nonprofit board members are not actively involved in program activities including fundraising, monitoring programs, and community relations. She sites that 70% of nonprofits are having some difficulty finding board members and 20% are having great difficulty. This difficulty may leave you with an inactive board, a board with many empty positions or a board where one person is the main support for the board. As the preschool director, I am suggesting that you work on getting the board to be more involved with the program. Doing so is what will help your program stay true to its mission and/or philosophy and bring a support team together to meet that mission. Assessing the type of board you have and the skills, experience and passion of each of your board members. Assigning/Reviewing the responsibilities of your board and board members. 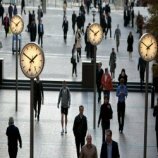 Communicating regularly and effectively with your board. Holding regular and productive meetings with your board. Let's look at these areas. Click the area you want to read about next below. Assessing School Boards- Which Do YOU Have?